A new attendance record for the APPT Korea with 581 entries. After the first break on Day 1b, a new attendance record for a PokerStars Asia Pacific Poker Tour (APPT) Korea Main Event had been set and once the registration for the ₩1,800,000 ($1,586) buy-in was closed, the 449 entries of the previous year were surpassed by a landslide thanks to an additional 359 entries on the second and final starting day. Along with the 222 entries of Day 1a, a field of 581 entries has emerged, and the record for the biggest event on Korean soil was narrowly missed. Day 1b saw 94 hopefuls advance and combined with the 59 Day 1a survivors, a total of 153 players remain in contention at the Paradise City Casino in Incheon, South Korea. More than half of the remaining field will leave empty-handed when the cards go back in the air on Saturday, April 13th, 2019, as of 1 p.m. local time, as just 72 spots receive a portion of the ₩912,983,400 ($803,425) prize pool with ₩3,290,000 ($2,895) as min-cash and a top prize of ₩198,100,000 ($174,32). Best-positioned to lift the trophy for the winner shots on Sunday thus far is Russia's Konstantin Pogodin, who skyrocketed to the lead in the penultimate level of the night. Pogodin got his above-average stack in with a king-high flush draw on a ten-high board and was called by an opponent with a pair of nines. Instead of hitting a diamond, the Russian went the more difficult path of runner-runner straight and went on to boost his stack further after that to bag up an impressive 359,500. In second place after Day 1b sits Ching Wei Chen with 295,000, followed by Kilian Loeffler (269,500), Weiran Pu (243,000) and Xinglong Huang (234,500). 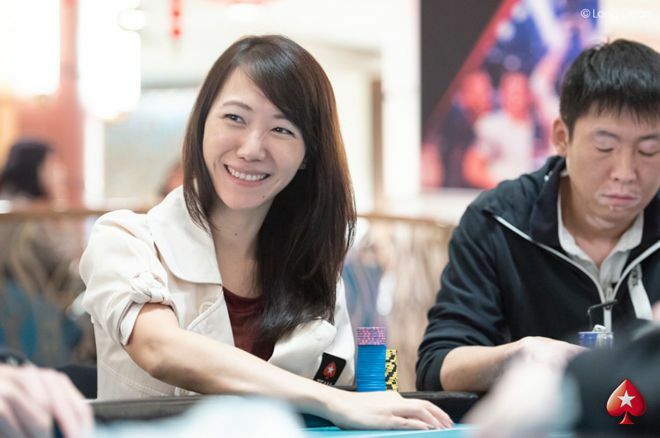 PokerStars Ambassador Celina Lin entered mid-way through the registration period and immediately doubled before running up a top-ten stack of 186,500. Randy Lew also made it through with an above-average stack of 113,000. Other big stacks and notables that punched their tickets for Day 2 include Gang Wang (186,000), Jack Wu (158,500), Sparrow Cheung (128,500), Patrick Liang (108,500), Alex Lee (97,000), Georges Georgiou (92,500), Victor Chong (85,500), Danny Tang (85,000), Wayne Zhang (76,000), and 2018 APPT Manila champion Wilson Lim (64,000). 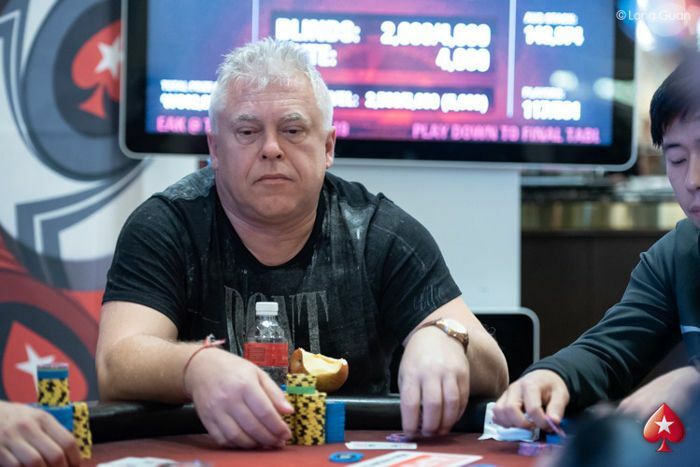 Less fortunate and among the long list of players to run out of chips on Day 1b were such big names as Jun Obara, Natalie Teh, Guoliang Wei, Norihiro Otani, Yuki Ko, Robert Glasspool, Wai Kiat Lee, Single-Day High Roller third-place finisher Daniel Smiljkovic, Irshat Shaykhov, two-time festival event champion Yan Li, Iori Yogo and Dong Guo. The remaining 153 survivors will return to the poker tables at 1 p.m. local time and as of Day 2 and until the conclusion of the event, the level duration will increase to one hour each. Up to ten levels are scheduled for money day in Incheon and the blinds recommence at 1,500-3,000 with a big blind ante of 3,000. As usual, the PokerNews live reporting team will be on the floor to provide all the action until a champion is crowned. Follow along with all the APPT Korea Live Updates, in the PokerNews Live Reporting section.